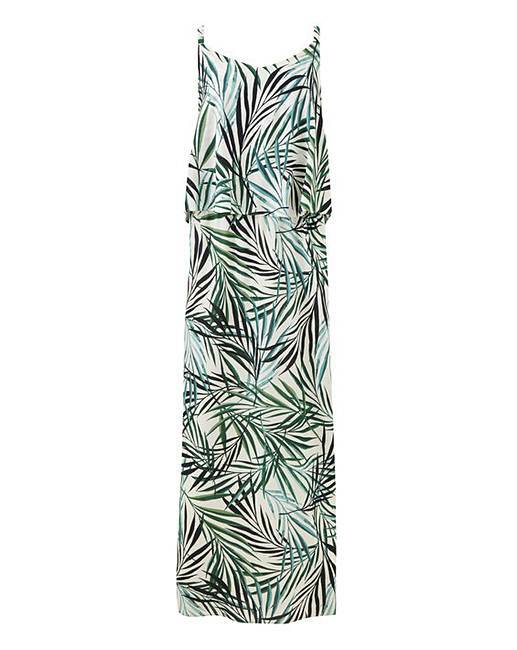 Palm Print Layered Maxi Dress is rated 4.8 out of 5 by 4. Give your summer wardrobe the ultimate style update with this gorgeous layered maxi dress. Adorned in a striking, all-over palm print. Complete with a soft V-neck and slim straps, this dress promises a flattering and feminine finish, meanwhile the soft, light fabric ensures you remain cool and comfortable in the scorching summer heat. Rated 4 out of 5 by Jacckie from got the look of summer bought for holiday love it really tropical will be great for cocktails in the hot med sun can not wait. Rated 5 out of 5 by Miggie from Nice little number. Purchased for my holiday, so not worn it yet, but very happy that I have purchased it.